eX-Girl has been added to this year’s SXSW Festival on March 11-17th, 2019! 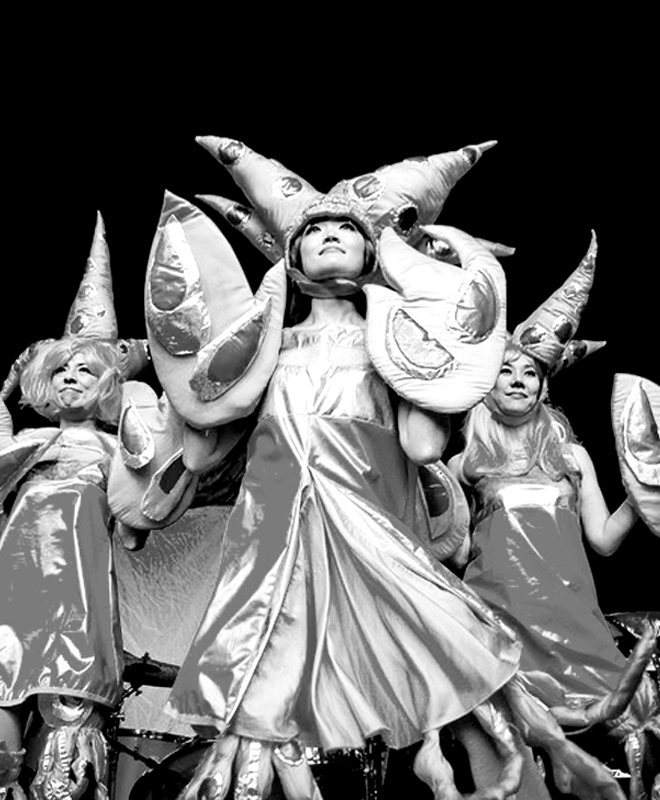 The newly reunited Japanese group, are compelling and captivating, hailing originally from the Planet Kero Kero, on stage the band incorporate performance-art aesthetics with wild costumes and intense energy. Donning enormous rubber wigs, frog-head masks and custom designed flower-power dresses, the band is instantly captivating.